Why in 2019 is there still so much confusion over the need to employ a Plumber vs Heating Engineer vs Gas Engineer in the UK? Having been a plumbing and heating engineer for over 20 years and a gas engineer for nearly 10 years, the number one confusion or mistake nearly every client makes is about requesting the relevant trade for their needs. The main statement I hear from clients time and time again is my boiler is broken and I need a plumber. This is actually the wrong requested tradesman or tradeswoman for your requirements, I will show you why. This blog post is an attempt to lift the veil of confusion for you, so you can make an informed and confident decision for what your needs are. If you have arrived here because you need the help or the assistance of either a Plumber, a Heating Engineer or a Gas Engineer and you live in either East London or North London area, you are in luck. Click here to get further immediate assistance. So what is behind the confusion? Quite simply put in the United Kingdom (UK) a Plumber, a Heating Engineer or a Gas Engineer have always been separate trades. On the surface from an ordinary person’s perspective, they appear to be one of the same. However, the differences are normally separated by the type of work each respective trade undertakes and is licensed to do. 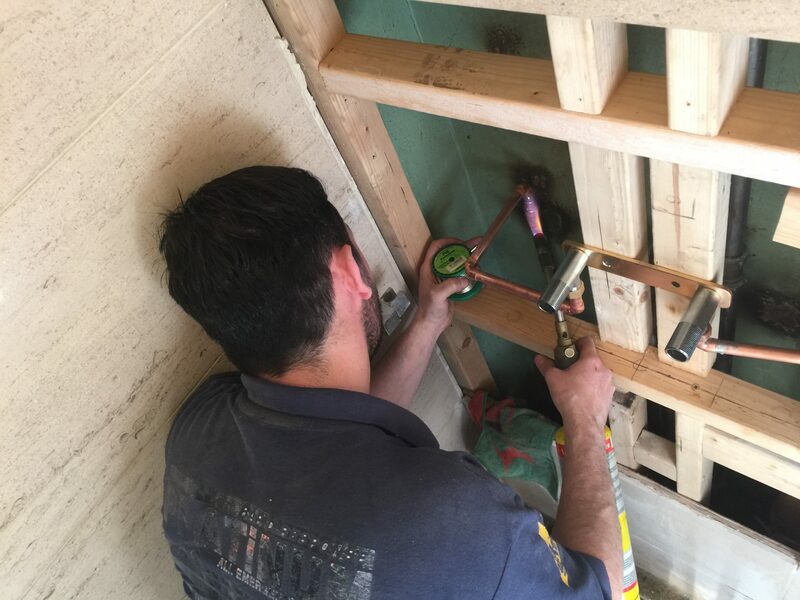 The confusion here lies in the detail as there can often be a small or large overlap between the trades, for some types of the work a Plumber, Heating Engineer or Gas Engineer will undertake. Below you will find I have separated descriptions of these trades out in an attempt to give you an easier understanding. I will add at the time of writing this blog post that a growing number of Plumbers, Heating Engineers and Gas Engineers are up-skilling to become multi-trades. In it’s simplest form multi-trade means a trade have undertaken further relevant training and assessments to have the required knowledge, experience, skill sets and licencing to perform in their further desired fields of expertise. Therefore it is always worth asking as well as checking that the relevant tradesman or tradeswoman you wish to work with is competent and licensed, to carry out your required needs and instructions. Still with me thus far? Let us now move on together at looking at these trades separately. I will start here because it is perhaps the less confusing out of all the trades with the clearest separation. The most logical distinction between a gas engineer and a plumber or heating engineer is that in order to be a gas engineer you need to be licensed and licensed annually. This is currently achieved through an organisation called Gas Safe who run a licensed register for gas safe engineers in the UK. The Gas Safe register used to be run by GORGI but this changed a number of years ago. If I could please ask everyone as a point of safety to Click here and check the register, for your appointed gas engineer. This ensures he/she holds a current and valid license. Every day I personally read about illegal work carried out in the UK by non-licensed individuals which often effects properties and sadly sometimes it takes lives. 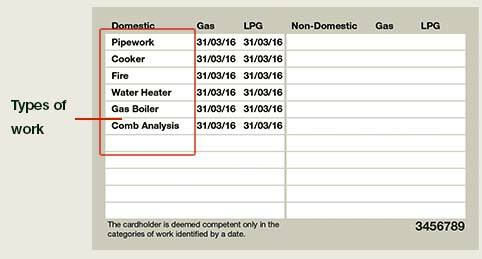 Most gas engineers are separated into different areas of specialist work they undertake, discussed further below. It is always best to double check your requirements and your engineer’s qualifications. The main reason gas engineers separate into different areas of work is mostly due to their starting point in the industry. Gas engineers sometimes have no previous experience working in the gas industry or either plumbing and heating. They are required to go through many months if not years of training before becoming qualified, certified and licensed in the UK. Most gas engineers have worked in the plumbing and heating industry for many years and are either crossing over to the Gas industry or adding further to their skills sets “multi-trade”. You may find your tradesman or tradeswomen is already a gas engineer as well as a plumber and heating engineer which year on year is becoming more common. Below I will talk about most gas engineers, as that is where some of the confusion lies and it is what most people will come across. Having obtained a Gas Safe License to work on Gas each license permits a gas safe engineer to work only on certain parts on a gas installation that an engineer is qualified to work on. Please see an example below. Imagine you wake up in the morning to find your home is freezing cold and you have no hot water. You look at the boiler say you have a Vaillant combination boiler for example. The boiler is flashing red with an error message of F61 being displayed. Do you call a plumber? A heating engineer or a gas engineer? Well done! 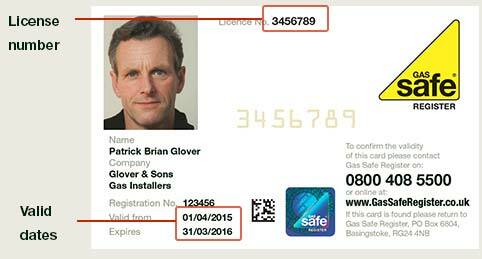 Now, remember when you contact a Gas Safe registered engineer, make sure they carry out repairs. Most will but some gas engineers only install new boilers and heating systems and do not work on gas boilers at all or repair them. Whilst some only carry out annual servicing work. It is a whole different skill set required from either installation of boilers, servicing boiler to repairing gas-fired boilers. “My boiler is not working and it needs a service”. These are two separate services a client is requesting. A boiler service is not a repair and vice versa. As I always explain to my clients that it should be repaired first. 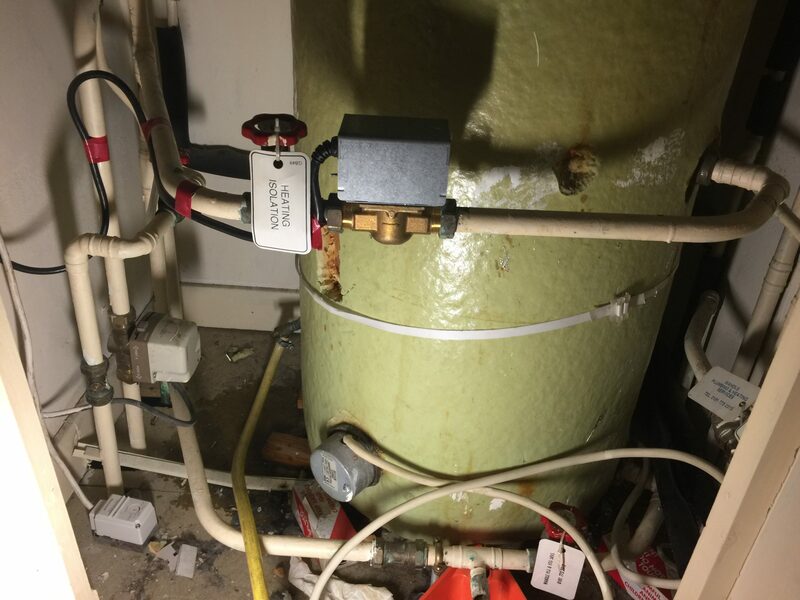 Sometimes clients require a boiler service and a repair, but for the most part, they assume a boiler service will get their boiler working again. Unfortunately most of the time the boiler has broken down through lack of servicing and now needs to be repaired first. Before I move onto the next trade of a plumber. Please look after your boiler’s, share a little love to the little white box on your wall. It really is the heart of every home. 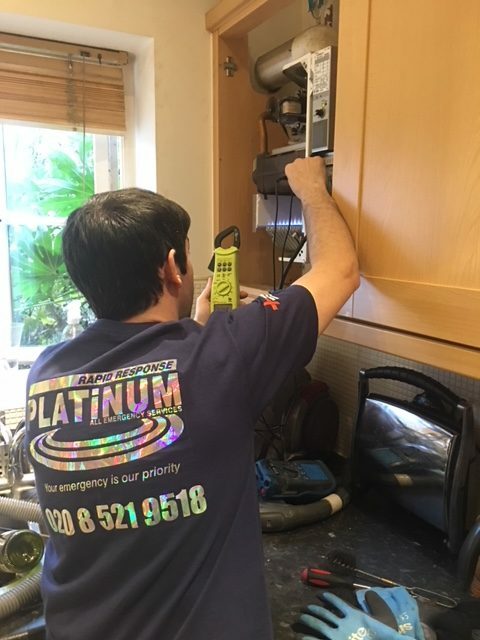 Not servicing and/or maintaining your boiler is a false economy and will always hit you where it hurts at the most inconvenient time costing you unnecessary lost time as well as money. Plumbers in the United Kingdom have a much closer relationship with heating engineers as discussed further below. In part, it is more natural for a plumber to progress their training and studying onto becoming a heating engineer. This is after they have successfully passed all the requirements of plumbing. From memory, it used to be split into 3 different National Vocational Qualifications (NVQ’s) levels 1-3 over 3/4 years with work placement. Level 1 was plumbing, level 2 was plumbing and advanced plumbing and level 3 was heating with electrical. However, this has likely all changed now but my point I am making has not. Plumbing and heating are still separate trades as it is not compulsory to do both trades. A plumber can equally be successful sticking to plumbing only. My advice as above always checks with your relevant tradesman or tradeswoman with your requirements. Please do note that a plumber or heating engineer in the UK does not require any license. I personally do believe this should change, but at the time of writing this blog in 2019, it is still not a requirement. Leaks in pipes (Water Supply Only). Drainage systems in an external of property. Bathroom installations (WC, Bath/Shower Basin Sanitaryware etc). Appliances connections and disconnections (Water and Drainage Only). Commissioning (Water and Drainage Only). Testing and faultfinding (Water and Drainage Only). Water Storage tanks and cylinders. Repairs or replacement work to any of the above. As briefly set out above a heating engineer is a natural progression of being a plumber. Heating engineers often hold a level 3 NVQ or equivalent, which is the next step up from a plumber. Please do note that although a heating engineer may be a plumber, which is often is the case. They are in no way licensed, qualified or competent to undertake any work on gas and are legally not permitted to do so. As already stated above always check and ask for a license. Heating engineers often work alongside gas engineers carrying out as much work as possible on a heating system that does not require working with gas. Although it has to be said in 2019 it is becoming a lot harder to find a heating engineer that is not gas safe licensed. However always carry out the required checks detailed above to ensure you and your family’s safety when appointing any plumber, heating engineer or gas engineer. Assisting a Gas Engineer with day to day activities. 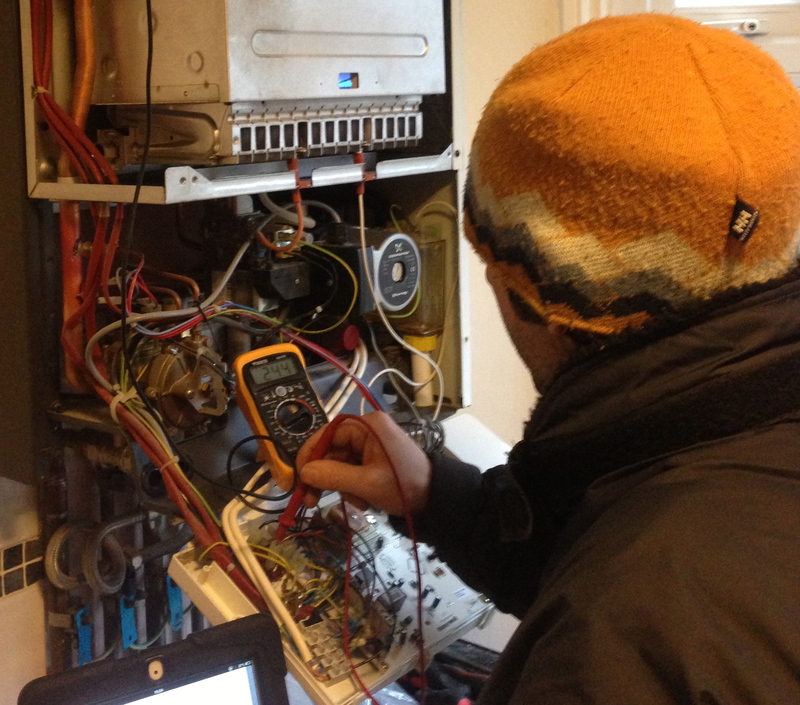 Fault Finding and repairs on heating systems (excluding boilers). 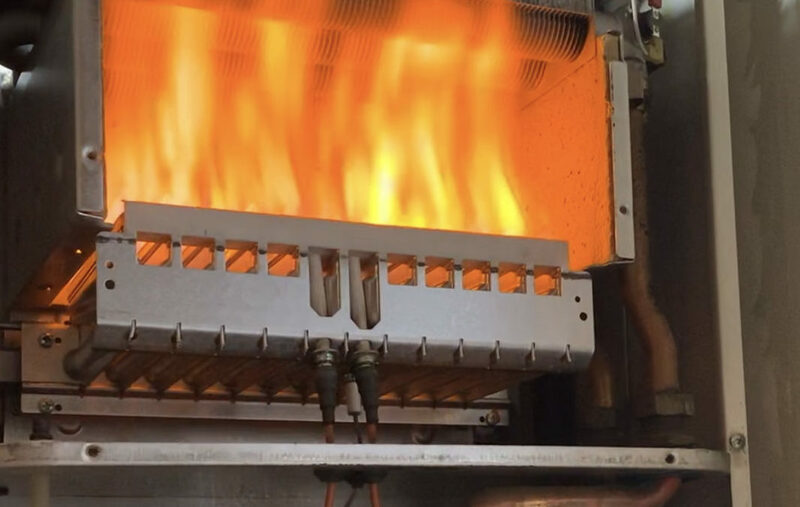 Chemical treatment and cleaning of heating systems. Powerflushing and cleaning of heating systems. In closing a big thank you for taking the time to read our extremely long post. We really wanted to try and put something out there that was a little bit more detailed but as concise as possible. I hope we have achieved this objective for you. As a 24-hour emergency company, It can be really important for ourselves to help our clients work out their needs from the get-go. We operate a plumbing and heating company that supplies all trades that a client may need. From gas engineers, heating engineers & plumbers, directly from Walthamstow in East London covering most of London. We personally only use multi-trade women or men so we can always put our best foot forward to supply our clients needs. That way when a client requests a plumber in Walthamstow, we can always cover any job request even when the client has requested the wrong trade. All done at no extra cost to our clients, which means, rapid response and quick solutions to all their plumbing and heating needs. if you have the time come say hello and check out our other blogs at Platinum Emergency Services Ltd. As always if you have enjoyed this big read please leave a comment below. We always enjoy reading your comments. If you would like us to consider any plumber or heating subject for another blog or discussion please let us know.